Thank you to the PTO for funding the purchase of Ollies for the 8th grade! Ollie is a programmable robot that is controlled by a handheld device such as a smartphone or Ipad. 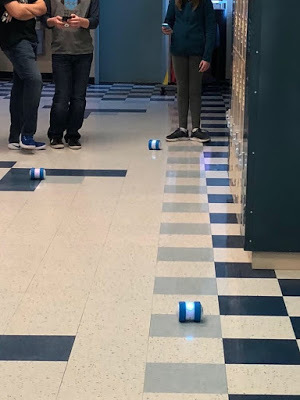 The Ollies provide a highly engaging, hands-on environment to develop coding skills that involve problem solving, experimentation and collaboration in preparation for jobs of the future. Our students are just beginning to explore all the lessons that Ollies have to teach!